I am decorating a whole wall in our bedroom with round (one oval) mirrors (see here for more pictures) that I’ve been gathering from thrift stores, yard sales, wherever. When I get the last couple of mirrors up I intend to give you a tour of the bedroom. We remodeled upstairs bedrooms last year. Here’s one small guest.bedroom that I dearly love. Our bedroom is taking longer because I don’t have enough mirrors yet. As a rule, I hate a lot of mirrors. You know the kind I mean. Mirrored walls, mirrored closet doors. This is nothing like that. It will look more like an art statement. Anyway…….. 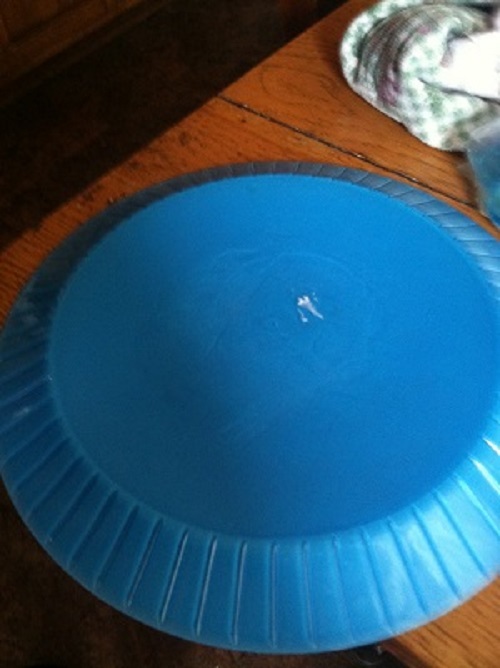 This first picture is of a plastic plate, (fifty cents-Goodwill) and a mirror ($1.00 Dollar Tree). I realize the mirror looks like a piece of wood but it’s just a reflection of the ceiling(it’s knotty pine so you are reading this correctly) in our kitchen. (How does one take a picture of a mirror anyway without it reflecting something?) 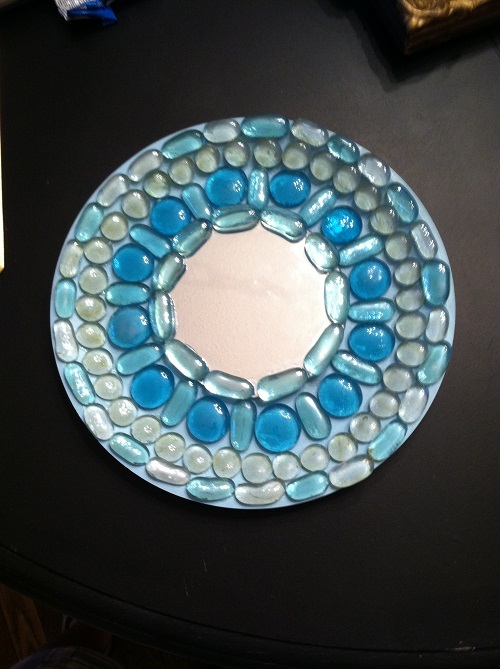 I glued the mirror to the center of the right side of the plate. 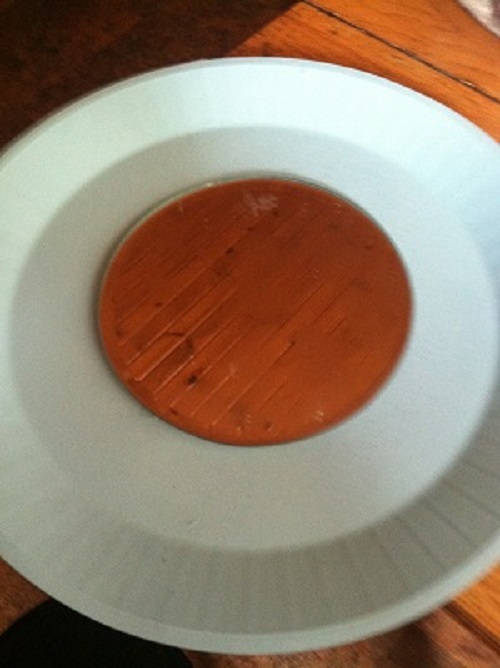 Sometimes I turn the tray or plate over to the other side. Just depends on how I want it to look on the wall. By the way, I use pop can tabs for the hanger and attach with a glue gun. Even though the mirrors decorated with flat glass marbles are heavy, the tab has proven to hold. I love this piece. You are so crafty!